We have completed the initial processing of all applications for the spring 2010 competitions of The American Prize for orchestras, choruses and their conductors. Semi-finalists will be announced according to the schedule published with each competition. If you paid for your application fees to The American Prize by credit card, please remember that your credit card statement will reflect the charge from Hat City Music Theater, Inc., the administrators of the competitions. Hat City Music Theater, Inc., is a 501(c)3 nonprofit organization based in Danbury, Connecticut. HALF the COUNTRY has applied to win The American Prize. With some applications still to process and more arriving daily (mail from the West coast takes time) we already know that “half the country” has applied to win The American Prize. We have received applications from no fewer than twenty-six states and the District of Columbia. Contestants come from as far away as Oregon and Washington, California and New Mexico, Minnesota and Michigan, Florida, New Hampshire and the mid-Atlantic states, representing choruses, orchestras and their conductors in a broad range of categories. We are very eager to see what each packet contains and start the slow, careful process of selecting the semi-finalists, finalists and winners. We anticipate that all contestants should receive acknowledgments that their applications are complete by this time next week. Semi-finalists will be announced according to the schedule posted for each competition. Subscribe to our blog (www.theamericanprize.blogspot.com) or follow our Facebook page: The American Prize, to know immediately when the lists are published. We will be annoucing new competitions on The American Prize website soon. Thank you for your interest in this unique and special project. Competition office OPEN THIS WEEKEND. I will be monitoring The American Prize's two email inboxes this weekend, to answer any last minute questions before Monday's midnight postmark deadline for the spring 2010 competitions. With about a week remaining before the postmark deadline for the spring competitions of The American Prize, the competition has already received applications from conductors, choruses and orchestras representing 21 states and the District of Columbia. We are very excited about the variety and evident quality of the applicants. In the last few days, I have received emails from several school music teachers asking if applying to The American Prize might be worthwhile for their ensembles and for them. With a little less than two weeks remaining to the postmark deadline for this spring’s competitions, my resounding “yes” is explained below. Those of us in arts education know we struggle as never before to gain for our students the recognition they deserve for a job well done. The media, even locally, often seem more interested in reporting about “popular culture” and sports than the performing arts, let alone featuring school and community music organizations in their stories. Newspapers, television and radio tell us they don’t have space or time; our concerts aren’t really news; “average people” wouldn’t be interested. We know differently, but that lack of coverage can often affect the visibility and perceived importance of music and music education in our communities. It makes it harder for us to recruit players and students, to find volunteers, to raise money, to secure proper funding, even to hold on to our jobs, or to prove to the “powers that be” that what we do is central to the education of our young people and to the quality of life in our towns and cities. What if there were a way for school, civic and professional ensembles (and their conductors) to be rewarded nationally for excellence, without having to worry about the expense and hassle of traveling to contests? Wouldn't that get the media's attention? Of course it would...and not just the media: the entire community would take notice, and that’s good for every music program. Enter The American Prize. Like state festivals, where school ensembles go to receive rankings and adjudication, The American Prize is a national festival for the performing arts, but one that is non-profit and relies exclusively on recordings of contestants to select the winners. The American Prize was founded to provide recognition to the finest music-makers in the nation, regardless of their location. Whether it is a wonderful string ensemble from the deep South, far West or in the heartland that some superintendent of schools wants to cut out of the budget, or a terrific community chorus that performs to but a handful of audience members in the Northwest or on the coasts; or a professional orchestra anywhere in the country that is struggling to find the donors it needs to remain in business, The American Prize can provide regional, national and international visibility and reward. What if your students, parents, board of education, or supervisor woke up to the news that you had just won The American Prize, judged to be the finest in the country in your category, chosen by an impartial panel of experienced professionals from all across the United States? There would be prize money and adjudicated comments, but maybe more important might be the bragging rights, to be emblazoned next year on your school or department letterhead or recruitment poster, or announced at the next faculty meeting. There would be the award certificate hanging proudly in your rehearsal room, studio, office or auditorium lobby; and of course, suddenly, there would be articles in newspapers and magazines, and stories on radio and tv pointing to your winning performance, sent directly to your local media by The American Prize itself, all linked on The American Prize website. Even if yours isn’t selected the top group, semi-finalists and finalists receive local, regional and national recognition as being among the best in the nation. If winning The American Prize might help you recruit more members, or add to your ensemble’s perceived worth, or enhance your resume, or solidify your position; if you have wished there were a way for your work (or your group’s quality) to be recognized by someone in addition to your students, audience, board, parents or supervisor; if winning might be the shot in the arm you and your group needs, reminding everyone in your community that what you do every day matters profoundly—then I urge you to apply. This spring, somebody (a group of somebodys) is going to win The American Prize and be recognized for their artistic achievement. Why not you? Full information, including application forms, all rules, judges’ bios and more, can be found at www.theamericanprize.org Downloadable under the NEWS button on the website is Principles of The American Prize, a set of rules the competition follows to help insure that The American Prize is fair and valuable to all contestants. In recent weeks, The American Prize has received a fascinating array of applicants from coast to coast, and we anticipate many more. Perhaps yours will be among them. It would be a pleasure to sample your students’ (and your) excellent work. 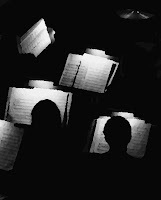 The deadline for the current round of competitions (for conductors, orchestras and choruses at the school, community, church and professional levels) is March 15, 2010. 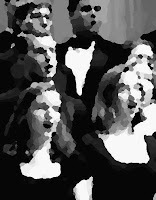 The American Prize is a series of new, non-profit national competitions in the performing arts providing cash awards, professional adjudication and regional, national and international recognition for the best recorded performances by ensembles and individuals each year in the United States at the professional, college/university, church, community and secondary school levels. Administered by Hat City Music Theater, Inc., a nonprofit organization based in Danbury, Connecticut, The American Prize was founded in 2009 and is awarded annually. The competitions of The American Prize are open to all U.S. citizens, whether living in this country or abroad, and to others currently living, working and/or studying in the United States of America, its protectorates and territories.